Another week, another Sony Xperia leak. 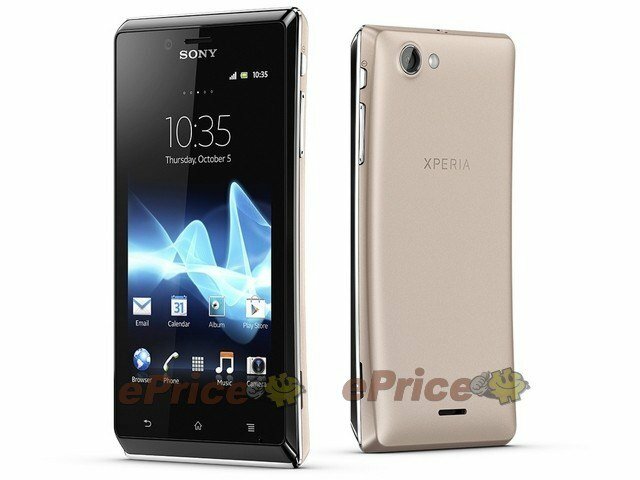 Today it’s the turn of the budget-focused Xperia J, which has appeared in official render form on Taiwanese site ePrice. According to pre-release rumors, the Xperia J will sport internals similar to the Xperia Tipo (that is to say, pretty basic internals), but on a larger 4-inch FWVGA screen. In today’s image the J is definitely channeling some of last year’s Xperia Arc, with a curved back and angular buttons -- in fact, from the back, it's the spitting image of the Arc. This isn’t the first 2012 Sony phone to resurrect the Arc’s design, though. The Xperia GX, out now in Japan, sports a similar chassis design, as does the Xperia TX, which should be unveiled within the next week. We’ve always had a soft spot for the Arc design, so imagining all these little Arcs rolling off the production line makes us feel all warm and fuzzy inside. The Xperia J (along with others, including the TX) is expected to appear for the first time at Sony’s IFA 2012 press conference in Berlin next Wednesday. We’ll be live from Germany to bring you full coverage of all Sony’s new devices.